The latest information on how to keep healthy this school year. For the health and safety of each student, please ensure the Health Centre has up-to-date health information for each student. ‘Health Matters’ is a health and wellness newsletter produced by SAC Health Centre for staff, students and parents. If You’re Going to Learn your ABCs, Better Get Your ZZZs! 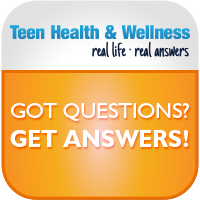 Tips and information to help you support your child’s health. The Health and Wellness Centre’s very own cookbook!